Welcome to Marble Hill Zip Code 10463, located on the northern tip of Manhattan although water divides it from the island. There has been much talk as to whether it belongs to Manhattan. Some think it should be associated with the Bronx. Broadway is the main street in Marble Hill. 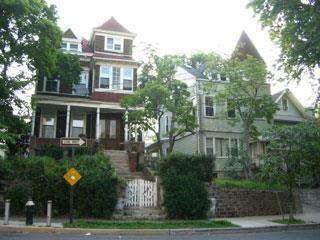 It is a 52 acre enclave with streets of Victorian style homes and pre war walk-ups. There are less than 12 streets winding through the hillside neighborhood. Back in the late 1980´s Marble Hill took on the benefits of reinvestment in the community and was able to clean itself up and offer beautiful homes and peaceful streets to its nearly 7,000 residents. Marble Hill, nicknamed MaHi was connected to Manhattan but in 1895 the Harlem Ship Canal was constructed and the separation was complete. The Spuyten Duyvil Creek had encircled Marble Hill but later that was filled in, thus the Bronx can lay name to Marble Hill. Once the Allen Pavilion in Marble Hill, which is a 300 bed community hospital was developed, an increase in home prices occurred and locals realized what an amazing place they had in Marble Hill. Also located in the community is the Marble Hill High School for International Studies. It holds under 450 students and the Department of Education rating for this school is an overwhelming A. The school's overall score for the 2006-2007 school year was a whopping 98.1%. It is a college prep school for students interested in foreign languages and international affairs. 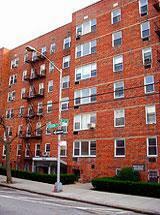 Residents can find just about anything in the Kingsbridge/Marble Hill, and Riverdale areas. There is much diversity in the population and very few vacancies.